Show Me A Lifestyle of Giving Goes Beyond the Christmas Season. Create and give back, Miss Cayce’s home of Show Me Decorating partnered with Coton Colors and their Attached to a Cause Event! and here is what happened……kids in the Permian basin benefited! A Lifestyle of Giving Goes Beyond the Christmas Season. Christmas is a time of giving and Miss Cayce’s Christmas Store has honored that tradition for over 30 years! Owners & Sisters Becky McCraney and Kathy Harrison are home town girls raised in Midland by parents Clarence & Betty Murray who still live here down the street from Kathy. Becky & Kathy graduated from Lee High school and have raised their families here also. They love the Permian basin and believe in giving back to the community that has helped them grow their business. It takes only one visit to the seasonal Miss Christmas Store to keep you coming back for more. The sisters and their staff work all year buying, planning and displaying the fabulous products purchased from all over the world and preparing their marketing strategies to include fun-filled events that feature specialty exclusive merchandise with great artist and vendors. But it doesn’t stop there; these events are always partnered with a charity that benefits as well. Kathy and Becky were thrilled to partner with Coton Colors for their 2nd annual Attached to a Cause, charitable giving program Art with Heart, and Midland’s own Rays of Hope was the perfect fit. Coton Color’s Attached to a Cause. Art with Heart. Rays of Hope offers classes for children and teens who have experienced a loss due to death, divorce or other painful transition. Kelsee Jones says “Our goal at Rays of Hope is to provide a safe, neutral place for children and teens to do the work of grief. Through facilitated peer support groups, we encourage children to use the creative arts as tools of expression.” If you know of a child or teen that needs this, please call (432) 684-5437 for more information. Kathy and Becky present Kelsee and Rays of Hope, the donated Art Supplies and Color Me Happy Coloring books. Miss Cayce’s hosted their own “Art with Heart” event benefiting Midland’s Rays of Hope. 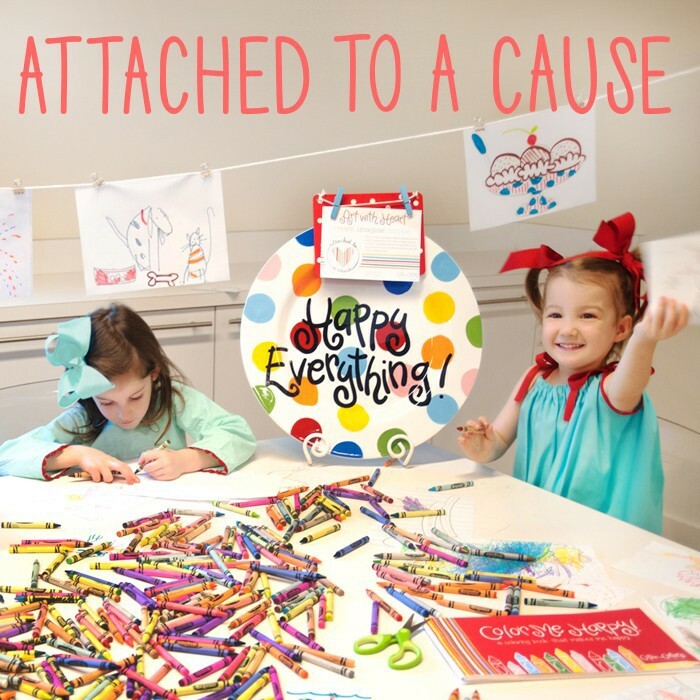 During the month of February, Miss Cayce’s asked their fabulous customers and Coton Color fans to donate art supplies for Rays of Hope and in return they received a 20% off coupon. The sisters also offered the opportunity to Buy a Book and Give a Book. For every “Color Me Happy” Coloring Book purchased, Miss Cayce’s donated a book to Rays of Hope. As a parting gift, Coton Color’s and Miss Cayce’s donated an “Art with Heart” Gallery Attachment and Happy Everything Base to Kelsee Jones at Rays of Hope, to give the children a place to display their works of art for all to see. the gift of a Coton Color’s Happy Everything Platter and Art attachment. “It’s a win, win for everyone” says Becky each year the girls select several of the many worthy organizations from our area to team up with. Sometimes it’s actual % of sales given, a raffle ticket for a chance to win a huge special prize like a completely decorated tree with Christopher Radko ornaments or customers bringing PJ’s for Safe Place and receiving a discount on store purchases. Amongst the many charities that have benefited from Miss Cayce’s and the communities generosity are High Sky Children’s Ranch, Hospice of Midland, Rays of Hope, The Midland Junior League, Samaritans’ Purse, Christmas Shoe Box, Hunt for Heroes, American Red Cross, Safe Place, Young Life, Girl Scouts Of America, the American Red Cross, March of Dimes, Meals on Wheels, Buckner Children’s and Family services and Casa De Amigos just to name a few! Our store requires so much of our time and talent that it’s hard for us to serve on boards or lead out in each one of the wonderful organizations available to our community but this way we can give back in these big and small ways. In 2013 the sisters moved their retail store to a NEW location at 1012 Andrews Hwy (behind Westlake Ace Hardware) growing from 8000 sq ft to over 16,000, allowing them to expand current lines and add new ones. Coton Colors is a manufacturer of colorful, handcrafted pottery, creative giftware and seasonal pieces to live life in style. They are a key supplier in the new location. The Coton Colors line along with new Home décor (rugs, lamps and furniture) is available year round at special events or by appointment, (432)689-7192. 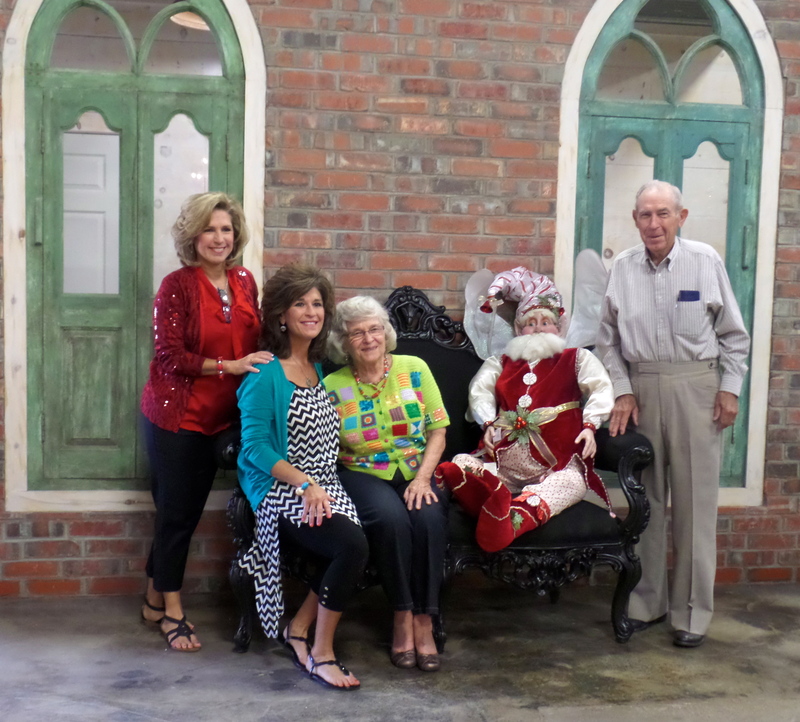 Miss Cayce’s Christmas Store will open for the 2014 Christmas season in their NEW location, 1012 Andrews Hwy, on Friday Sept. 5. Bring your friends and families, experience your NEW “Happy Place” and we will serve you a warm cookie and a soft drink while you shop. We promise you’ll be glad you did. Show Me Decorating for all your seasonal decorating! They can use all kinds of art supplies, so any donation is wonderful!